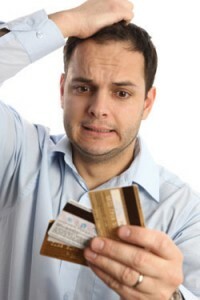 Help, I Have Serious Credit Card Debts! Dealing with credit card debt can be a frightening experience. Having a significant amount of credit card debt can hurt your credit score and it can tarnish your financial reputation. Serious credit card debt can be accumulated due to a variety of factors such as having an open credit card with no limit and having multiple credit cards. Many individuals believe that paying the minimum balance each month will help them pay down their credit card debt but it does not. As interest grows, the principal balance builds up and they end up paying more in the long run. While this can be a distressing time, it is important to know that you have options that can help you get debt free. We have a few tips on how you can eliminate your credit card debt and live comfortably. The first thing that needs to be done is an assessment of your credit card debt. You may think that you are aware of all of your debt but you might be surprised to uncover some of the other credit card bills that you have. It is best to sit down and get out all of your credit card bills so you can see everything that you owe. When you are reviewing your credit card bills, it is best to take into account the date your payment is owed to the company and the total amount owed. These things are very important when trying to decrease your credit card debt. The date of payment and the amount owed is important because sending your payments in a few days after the due date can pose serious financial issues. By paying late you risk having your interest rate increased significantly and having the bank or creditor reporting you to all credit score agencies. If your credit score lowers due to paying a credit card bill late, it can affect your chances of applying for credit in the future. 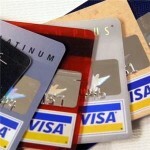 There are many ways to pay off credit card debts that doesn’t involve spending a significant amount of money. You have the option of reaching a settlement with your bank or creditor. A settlement is an amount that you agree to pay that will clear you of any debt. A settlement is usually devised by the creditor and sent to the person that owes the debt. While a settlement might seem like a good idea in the beginning, it can pose some issues. It is typical for a settlement to be place on a credit report, which can be a negative factor in your financial history. However, settlements are still ideal options for individuals that are having a difficult time paying down their debts. You also have the option of discussing negotiation with your creditors. You can reach a plan that works for the both of you and helps you pay off your debt. By negotiating, you can give the creditor an idea of the credit card payments you can make. In the end, the creditor has the option of accepting or rejecting the plan. While it might seem impossible to pay off credit card debt, it can be a success with a few tips. It may take a while to see results, but in the end you will be debt-free and in a better state of mind.